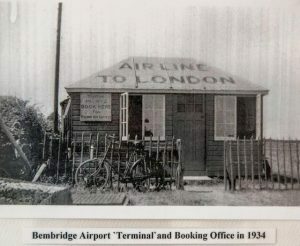 Bembridge Airport opened in 1920 on land owned by Bembridge Farm. 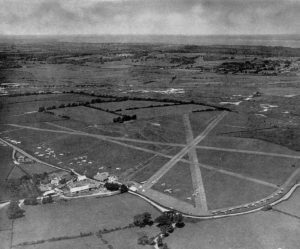 In 1921 the airfield became a licensed aerodrome and in 1933 was listed “Approved” by the Automobile Association, with a grass runway of 600 yards. In 1934 airline services were commenced by Spartan Airlines and terminal facilities were built. In the following 5 years other airlines (Portsmouth Southsea and Isle of Wight Aviation and Channel Air Ferries ) operated into Bembridge. However, when WW2 started, Bembridge was closed and the landing area was obstructed by ditches to prevent the use of the airfield in the event of invasion. Post war, the airfield reopened in 1946 but airline services did not resume. However, general aviation activities continued. In the 60’s Britten Norman started manufacturing the Islander aircraft (and later, Trislander) at their factory on the north side of the field. Eventually a concrete runway (the only one on the Island) was laid. In spite of a somewhat chequered financial history and a succession of ownership changes, Islanders are still in production today, with over 1200 built. A Britten-Norman subsidiary company Aero Composites Ltd (ACL), started assembly of the Cirrus SR20 and SR22 aircraft in 2005 and delivered the 50th aircraft in November 2006. General aviation also continues to be a major part of Bembridge’s business, particularly during the summer. At the end of 2010 control of the airfield , which had been in the hands of Britten-Norman, reverted to Bembridge Airport Ltd. 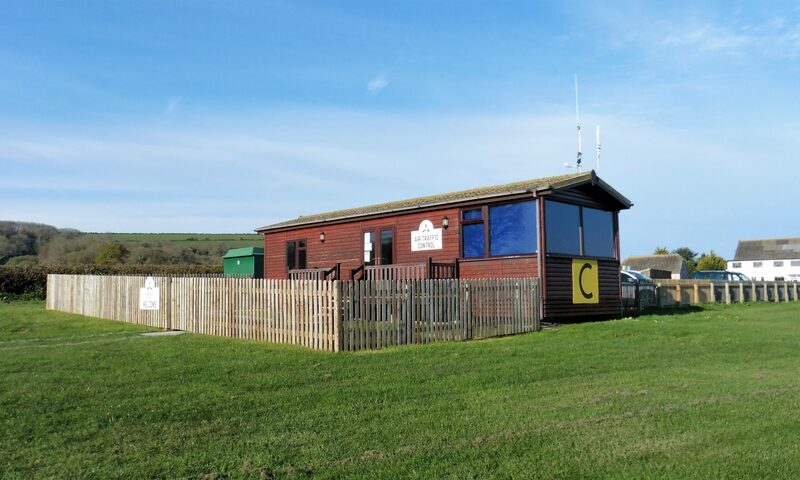 The Vectis Gliding Club flew an aerotow only operation from 1996 until 2016, and although no more gliders are flown from Bembridge, the Club now continues to manage the airport on behalf of Bembridge Airport Limited.